Railways have diminished substantially as a principal means of moving people and things from place to place in the US. In many other countries, however, they continue to play a vital role in transportation, taking the lead in rail transportation investment and innovation. Trains and railways in India and the Netherlands are now running on emissions-free, environmentally friendly solar and wind power, for instance. Add Chile to that list. Train travel and rail transportation have never really caught on in Latin America. The challenges of rugged, isolating terrain – think the Andes mountains and the Amazon Rain Forest – pose substantial barriers. Additionally, a lack of government leadership and public-private sector cooperation does not promote the broad public interest first and foremost. The Chilean capital of Santiago is an exception. Its subway system is considered the finest, as well as being the largest, in Latin America. 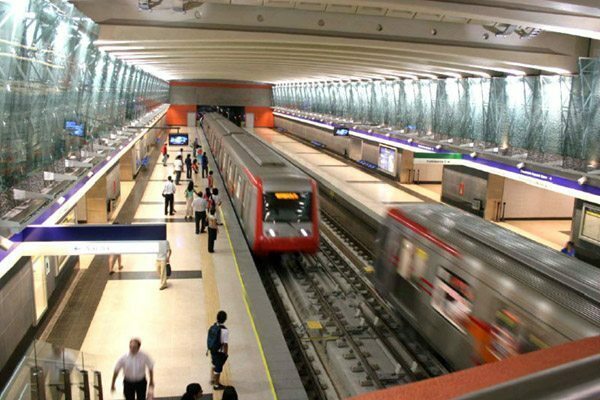 Soon, Santiago’s subway system will be powered primarily by solar and wind power, the Wall St. Journal’s Ryan Dube reported in July 28 news. 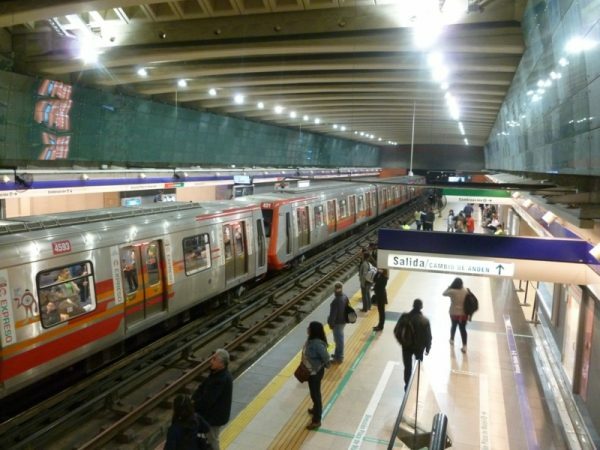 Transporting some 2.4 million passengers a day on an average weekday, Santiago’s subway is already recognized for the noticeable lack of noise pollution. Subway cars and electric locomotives, which were made in Europe, ride steel rails atop rubber wheels that barely make a sound, Dube reports. The environmental footprint from Santiago’s subway will decline significantly once electricity from renewable sources expands to all rail lines. Solar, wind and other forms of clean, efficient and reliable renewable energy are experiencing a boom in Chile of late. 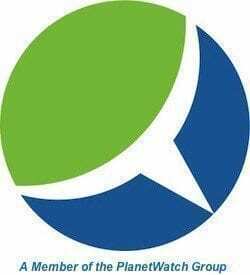 Market reforms designed specifically to promote investment supporting renewable energy development is key to this rapid growth. The renewable energy path created by Chile and other Latin American countries stays true to historical form, based almost wholly on the regional version of “trickle down” economics. Politically well-connected groups of mostly family-owned companies and foreign investment by multinational corporations drive investment. Many of these businesses are involved in the extraction and export of natural resources raw materials, such as copper and timber. That said, the cost of utility-scale solar energy generation costs in Chile have set world records recently, dropping below that for conventional coal-fired and on a par with hydroelectric power generation, which has traditionally provided the single largest portion of Chile’s electricity. Expected to provide as much as 60 percent of the Chilean capital subway’s electricity needs by next year, the solar and wind power powering Santiago’s subway system comes from far north, in Chile’s sun, wind and mineral-rich Atacama Desert, the driest in the world. Solar power and energy is making its way on to railways elsewhere in the world. In addition to India and the Netherlands, Dube notes that solar photovoltaic (PV) energy fuels two miles of railway line between Antwerp and Brussels in Belgium. Solar power fuels buses in the Australian city of Adelaide.. In Canada, Calgary’s light-rail commuter railway relies almost wholly on wind power.